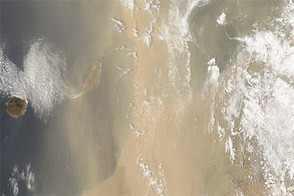 Dust blew off the coasts of Morocco and Western Sahara in early March 2012. Heading northwest, the dust blew over the eastern Canary Islands, especially Lanzarote and Fuerteventura. The Moderate Resolution Imaging Spectroradiometer (MODIS) on NASA’s Terra satellite captured this natural-color image on March 8, 2012. 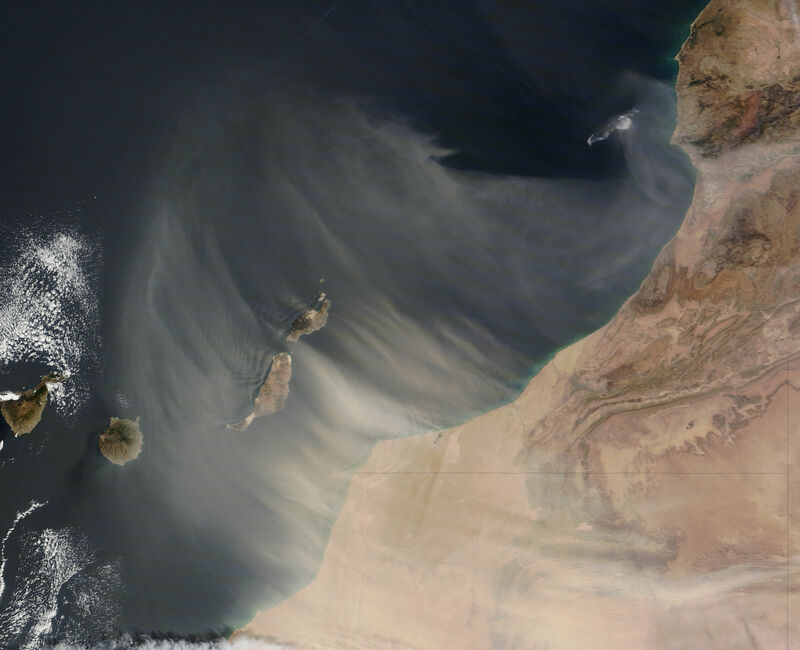 The dust plumes appear distinct from each other near the coast, which suggests that much of the dust is from that region. 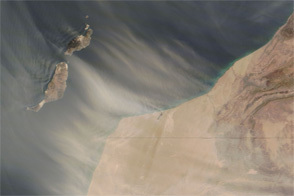 Near the shore, a sand sea straddles the border between Western Sahara and Morocco, and some of the dust could have arisen there. But some dust also blows from farther inland (image lower right). 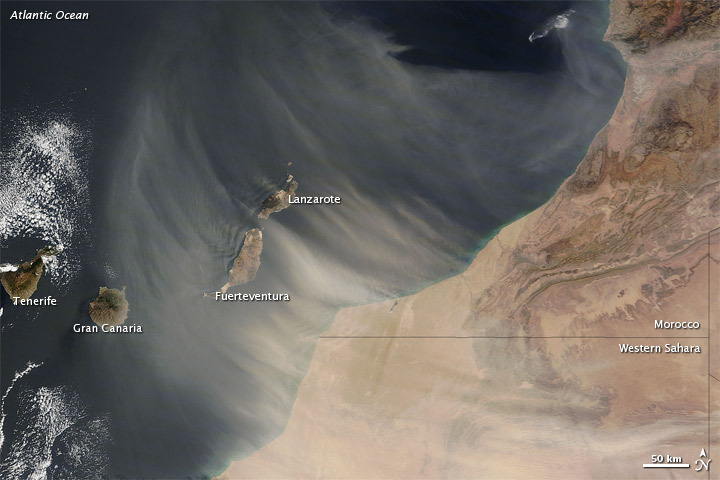 Huge sand seas cover parts of Mauritania, east of Western Sahara, and likely supplied some of the dust in this storm. NASA image courtesy Jeff Schmaltz, LANCE/EOSDIS MODIS Rapid Response Team at NASA GSFC. Caption by Michon Scott. 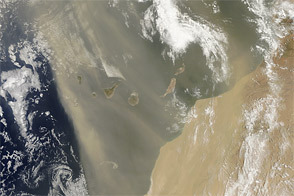 Saharan dust blows over the eastern Canary Islands in this image acquired on March 8, 2012. 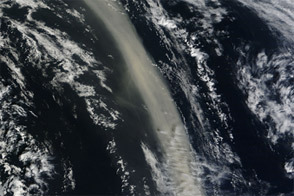 Dust blew off the west coast of northern Africa in early March 2012.